The Bombay cat breed is absolutely spectacular. It is a black short-haired cat with large golden colored eyes. The black fur is shiny. The Bombay cat is often called the “mini-panther”. The Bombay is a wonderful family member. This cat loves people and to socialize. It tends to be a talkative cat. This cat enjoys a game of fetch and can be easily trained to walk on a leash. 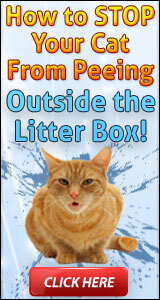 It its manners it is more “dog-like” than other breeds of cats. The Bombay cat is content with being an indoor cat. It is an intelligent and sensitive cat. Bombay cats are very friendly. The Bombay cat will need a lot of attention. This is a typical “lap cat” and can purr for hours. 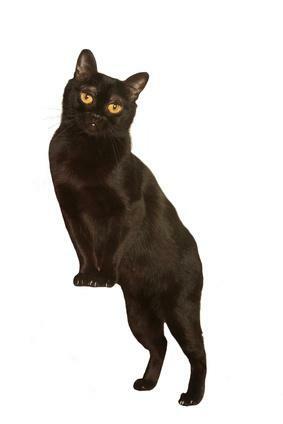 If you love to pet and cuddle your cat, you certainly want to consider the Bombay cat. This is a true lucky black cat! They tend to be strong and healthy. The cat is easy to groom. The Bombay cat was created by a woman from Kentucky named Nikki Horner in 1958. She crossed black American Shorthair cats with sable Burmese cats. The result was the Bombay which has become increasingly popular in the United States. The Bombay is named after the Indian city and in honor of the Indian black leopard.